redalmightymars | A Giant Crab Comes Forth! My relationship with Giant Crab began on the Internet—don’t they all these days? In what is essentially my standard mode of locomotion, I stumbled upon a blog post on the ‘Net, which I contend brings out the OCD in all its users. A search for a photo of Jeff Beck turned into seeking all available versions of “Hi Ho Silver Lining,” (an anomalous entry in Beck’s early catalog, by the way, one that almost certainly was recorded at the insistence of producer, Mickie Most, always hungry for a hit, however ill-suited it may have been for the artist). 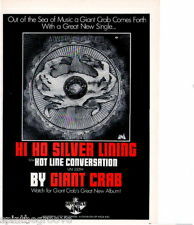 In addition to a version of “Hi Ho Silver Lining” by The Attack, which barely predated Beck’s, there was a result that pointed to what seemed to be an l.p. called A Giant Crab Comes Forth, which sounded like the title of an American International monster film I’d somehow managed to overlook. Captivating and evocative, that title led me to a music blog entry with the album’s track list, band members, and cover art. What an experience it must have been, holding this album in your hands, shrink-wrapped, fresh from the UNI Records factory (which surely was adorned just as one of their record labels, in a vortex of bright yellow, pink, blue, and green bands that seemed to be disappearing down the spindle hole, a whirl of color that could induce vertigo even when it was at rest). All of which made me more intrigued about this “real trippy” obscurity made up of “sunshine and shadows.” The original blog post was already years old, though, dating back to 2006, and although I will admit to clicking the link, the download file was long gone. And so, despite all the vaunted accessibility of the Internet, the album proved as elusive as it was mysterious, and increasingly desirable. What we always want most is that we can’t have, and if that isn’t the record collector’s mantra, what is? My quest for Giant Crab was long and, per my usual mode of progress, circuitous. The trail led to many dead ends before finally leading me back to the beginning. Rather than rising up out of the irradiated waters of the Pacific, in reality, our Giant Crab eventually came forth from the experiences of a sailor (who was neither Paul Birch nor “Touch” Connors) during World War II. In the estimation of his youngest son, Ray (now known as Brian), the band’s story began with Joseph Orosco stationed in the Pacific during the war. His guitar helped him pass the interminable hours at sea, “jamming with the other sailors on their ship during their free time,” between outbreaks of horrific combat. Ernie, his eldest, recalls their father’s description of looking down at “Marine bodies floating in the ocean” as he went ashore at Iwo Jima, and looking up to witness the famed raising of the American flag. A number of his fellow sailors also enjoyed the diversion of making music, swapping songs from their home turf and backgrounds. Due to its immense popularity and adaptability to acoustic guitar, many of the songs Joe learned were country and western. Not that it’s at all evident in the music they would make, Brian cites the C&W that Joe learned in the Navy as an early influence on himself and his brothers. In fulfillment of his wartime plea, Joe and Esther had three sons, Ernest (aka Ernie), Ruben (known as Cory), and Ray (known as Brian). The Oroscos also had a girl, Elaine, ten years after Ray’s birth, who has not been part of the brothers’ musical pursuits. Photos from that time show an attractive couple, always beaming, with the magnetism of born entertainers. Even with four kids to corral, Esther and Joe found time to assemble and lead a band, she as lead vocalist, he on guitar, with both of them harmonizing, of course. They played at parties and elsewhere around the Santa Barbara area, their sets made up of popular standards, Jazz, Latin and, drawing on Joe’s extensive shipboard repertoire, country and western selections. When the brothers talk of this time, it is with wistfulness, and about their parents, with love and respect. These were days spent fishing off the Santa Barbara pier and, following big brother Ernie’s lead, engaging in daredevil stunts, like the pier-diving that led to stitches in Brian’s knee. It was the “I Like Ike” era, seen in retrospect as less complex and more innocent, an age of “easy living … that it’s hard for people [today] to related to.” It was that short breather after the Korean War, before Vietnam, before JFK, before The Beatles. The times, their upbringing, and especially their parents’ values, the brothers reckon, prepared them to embark on lives as entertainers, on their own terms. And the three recognize how fortunate they were to have grown up in a household where their musical ambitions were enabled and encouraged, with parents who clearly wanted them to pursue careers in music, but didn’t force it on them. Brian calls their parents “more than influential,” showing them by example how personally fulfilling, if not necessarily financially rewarding, music-centered lives could be. While Joe and Esther never supported the family as entertainers (and there is no indication that they tried), the joy they derived from playing and performing seemed to be reason enough to do it. Before long, Ernie gave up the air guitar for the real thing, a ¾-scale, sunburst Stella acoustic the boys had long admired in the window of Bennett’s Music, which turned up under the Christmas tree. All of nine years old, he overcame his shyness to make his public debut as a musician, singing Elvis’ “Hound Dog” outside Brownie’s neighborhood market on De La Vina Street. Shy as he was, Ernie had a confident Elvis stance down cold. He not only became a performer at that tender age, Ernie immediately turned pro, the market’s owners paying him in a currency any nine year old would appreciate, popsicles and ice cream sandwiches. 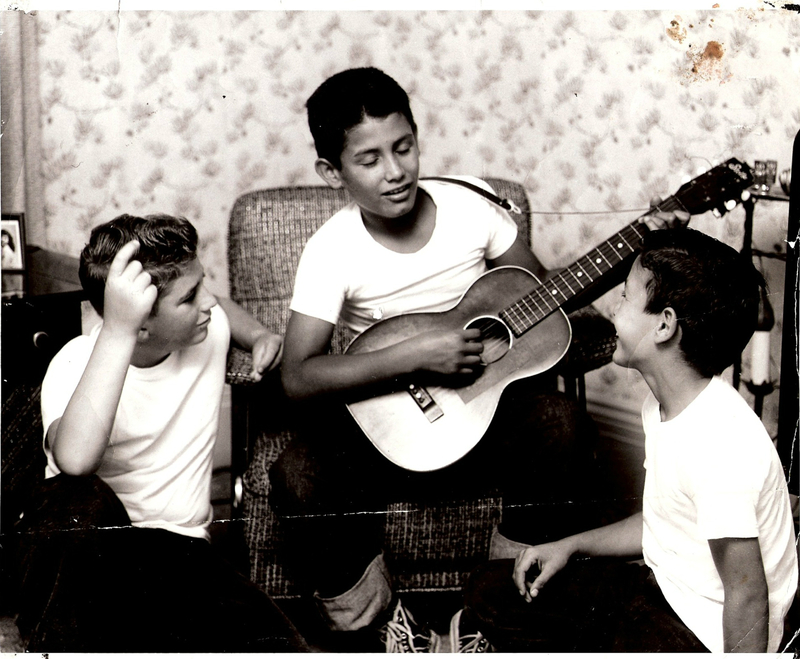 Ernie Orosco [center] with his first axe, a ¾-scale Stella acoustic he got for Christmas. Younger brother, Brian [r.], appears amused, while friend Bobby Brown [l.] seems intent on picking up some technique. As a largely self-described “professional musician and critic,” music has been as much a constant part of my emotional sustenance as weekend warrior bar gigs and unpaid record reviews. So when my life started going south in 2010, with serious family illness, turmoil in my career, and the second of our sons leaving for college, I relied on the music, as always, to help me through. 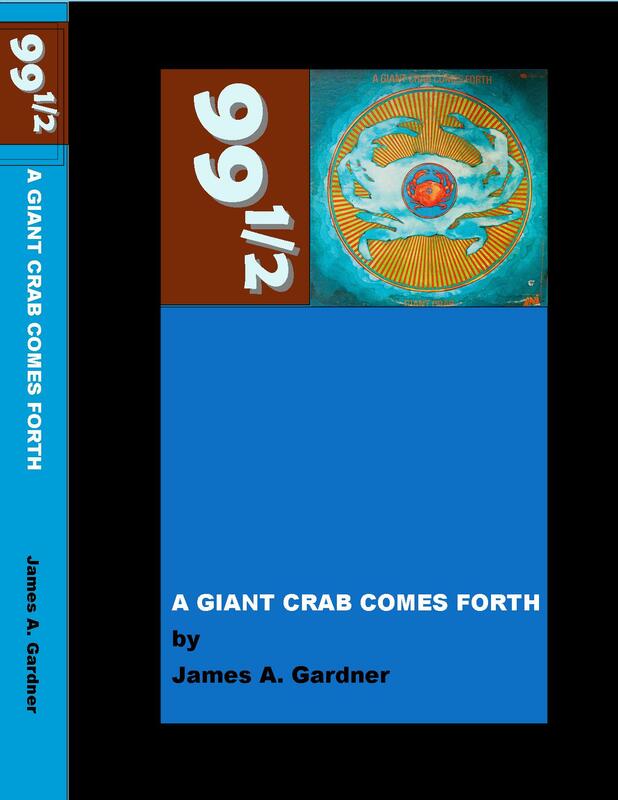 A Giant Crab Comes Forth came into my life that summer. 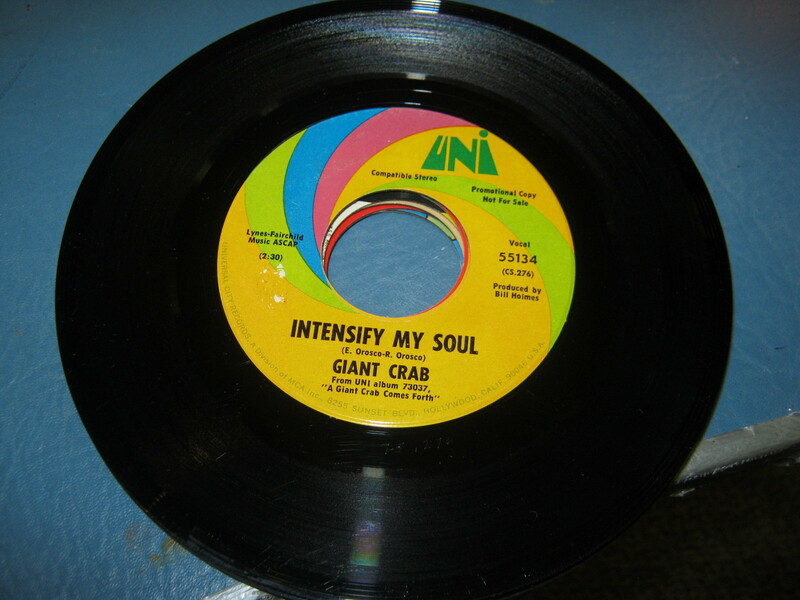 As I tried to distract myself through outdoor labor in intense heat, Giant Crab tracks kept coming up on my MP3 player, and with each play, songs like “It Started With A Little Kiss” sank their considerable hooks further into me with their pop song craft and clever, value-added arrangements. 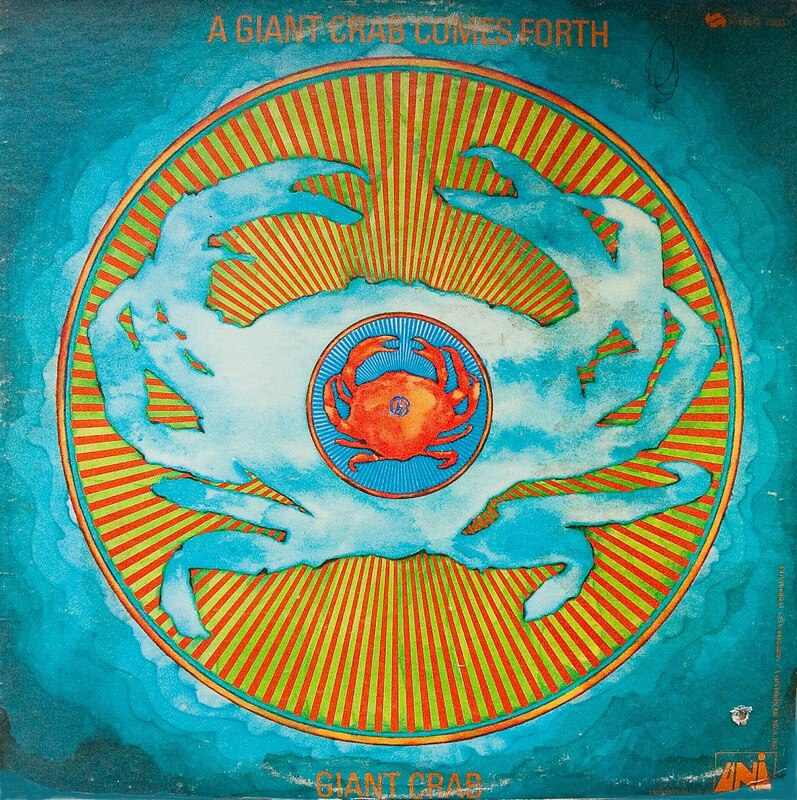 With the transformative, elevating power of the best music, A Giant Crab Comes Forth continually buoyed my mood, always sounding like a refreshing blast of lost classic radio. Since my first exposure to the album, I have given … Comes Forth a couple hundred spins, putting it in a preferred playlist category second only to such personal essentials as Abbey Road, Pet Sounds, Forever Changes, Wheatstraw Suite, and The 12 Dreams of Dr. Sardonicus. What I’ve learned about the musicians who made up Giant Crab has only enhanced the positive vibes put off by this album. Having musician sons myself, I found myself experiencing great empathy for Giant Crab patriarch, Joseph Orosco, too. 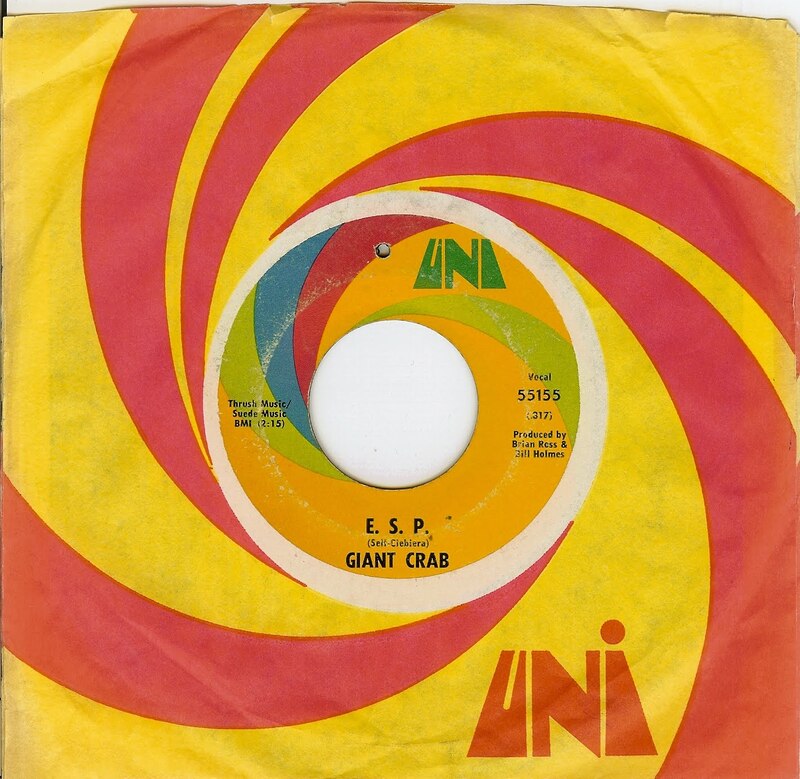 My life has made a near-180 degree change for the better and, while it would be overstating its role in this reversal of fortune to attribute it entirely to … Comes Forth, Giant Crab was a vital part of the soundtrack that sustained me through some hellishly bad times. And now, from more of a hilltop perspective, A Giant Crab Comes Forth still sounds every bit as good, if not even better than it did where things looked desperate. While I would never guarantee that the music on this album will change your life, you will definitely be better off for hearing it. Emerging from the mysterious mists of time long past, Giant Crab rears its massive crustacean head, once again making itself heard in a world that has fallen into malaise in its absence.